Hunting can be magic; when everything in the universe aligns and you have the perfect shot, or stumble into the right habitat at just the right time. Clearly, all your practice at the firing range has paid off. And, it can be a complete disaster; forgotten bows or a clear, missed shot. Hunting is walking the line of the most exhilarating experience to utter disappointment. As the Thanksgiving holiday approaches, we thought we’d touch on the best turkey hunting practices that work, when everything else has failed; don’t let the turkey get the last gobble! Mountainous terrain in the Western Slope is a tough area to tag a tom because they are extremely difficult to spot. The different layers of vertical landscapes are particularly challenging, because you may call a turkey and not see it until the very last moment when it peeks its head up, but the rest of the body remains hidden. In this instance, you spot the turkey, but getting to it presents another set of problems. The turkey may decided to fly up or down the terrain, or roost on one side; sometimes the 500 feet to get to it isn’t worth it. To mitigate turkey trouble, you can scout out certain landscape features to help locate other gobblers. Turkeys strut in the woods, but mostly they hike into the canyons and do it there. Use binoculars or a good spotting scope in an elevated lookout to locate turkeys within a two or three mile radius. When you’ve identified a popular rim, approach from below, or find cover in little rock nooks if you drop in from above. 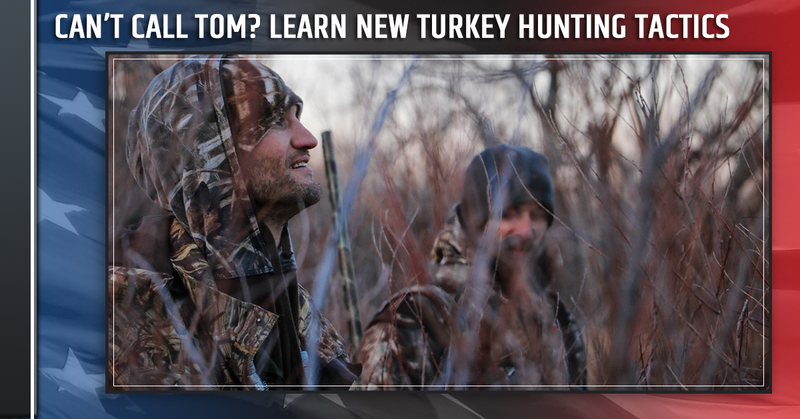 To find a tom’s preferred roost site — at least for a couple nights — listen at dusk and dawn for their gobbles to get an exact location, and then set up uphill and call the tom to you. Toms, again, like to strut in steep terrain, but they’re easier to spot and shoot on flat ground. Seek out a canyon with meadows or southern facing slopes, and set up a decoy in a well lit area, and call the bird to you. At some point in the season, turkeys reach a turning point and ignore calls or run from them. The best thing to do, is to just stop calling them, cold turkey. It will feel completely unnatural, but stand your ground. A good tip is to use whitetail tactics when calls have failed. In deer season, you wouldn’t go out blindly without tracking or considering movement patterns, and the same it true for turkey. 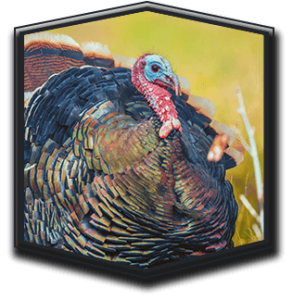 Implement the same tools and scouting skills to decipher the turkey habitat. Use scoping and reconnaissance to figure out what the birds are doing. Hens are the “leader” of the pack because they tend to feed, and where hens feed, the toms follow. If you can locate their feeding area, you’ve located the tom. Now that you have a general idea of the birds patterns and feeding areas, understand their coming and goings. One of the best spots to pinpoint is the path between their roost and feeding range. Find the spot where toms like to strut for the hens. These spots are easily identified by wing drag marks through leaves and ground cover. No one like to hunt in bad weather, but this can be used to your advantage. If there are high winds — turkeys hate high winds — hit a valley or secluded area with coverage and there you’ll find the turkey congregation. If it’s exceptionally cold, find a sunny rim where hens and toms alike soak in the rays. This will be completely out of your wheelhouse, but consider charging the flock. This tactic won’t always make sense, but give it a try. In areas with a robust turkey population, toms and jakes tend to congregate into cliques like something out of West Side Story, and evoke a turf war. This situation is the perfect time to runoff adolescents of the groups, and then call softly to the toms. Once you’ve identified the areas the turkeys roam, run them right into their feeding grounds, and sneak behind the younger birds and run them into a corner. Hunting turkeys at different times of the day requires diverse tactics, a the wrong approach will just drive evening turkeys into their roost. If you set up three to four hours before sunset, this is optimal feeding time and turkeys are likely to be out and about; make your move in this time frame. An obvious spot would be waiting under roost trees, but in this case, stick to feeding and travel routes. Keep in mind, turkeys often reverse their morning routes, so set up slightly above those routes where good light and visibility are present. If you’ve had a difficult time tracking a tom this year, hopefully these tactics will help. Give it one last shot to bring one home right in time for Thanksgiving. Liberty Firearms Institute is a wonderful resource for gun safety courses, as well as, weekend fun at the firing range. Contact Liberty Firearms Institute today and find out about all the services they offer.